The Berks County Public Libraries, as a federated library system of 19 public libraries manages administrative and centralized support services as a department of the County of Berks. A 7 member at-large Advisory Board, appointed by the Board of Commissioners, works in collaboration with member libraries to promote life-long learning and community engagement through resource collections, technology and programming. 1986 – The Berks County Board of Commissioners officially establishes the Berks County Public Library System to provide a “countywide system of federated libraries and maintain a center for administrative support services.” Dr. Dodson E. Dreisbach is appointed by the Commissioners and is elected to serve as the first president. The twelve charter libraries include: Bethel-Tulpehocken Free Public Library, Birdsboro Community Library (now Boone Area Library), Hamburg Public Library, Kutztown Public Library, Mifflin Community Library (withdrew membership in 1989 and rejoined in 1998), Muhlenberg Community Library, Reading Public Library, Robesonia Community Library, Sinking Spring Public Library, Village Library of Morgantown, Wernersville Public Library and West Lawn Community Library (now West Lawn/ Wyomissing Hills Library). 1988 – Brandywine Community Library and Boyertown Community Library join the System. 1989 - Schuylkill Valley Community Library and Fleetwood Area Public Library join the System. 1991 – System Headquarters assumes operation of the County Bookmobile. Reading Public Library installs a library automation network. 1994 – 1997 Member library collections are barcoded and added to the automated library network (ALIN). Bernville Area Community Library joins the System. 1995 – System van delivery to libraries begins. 1997 – Womelsdorf Community Library joins the System. 1999 – Exeter Community Library joins the System. County funding grows to $1.2 million. 2000 – The Bill and Melinda Gates Foundation awards a $225,500 grant to the System to develop a computer training lab and add additional computer equipment for member libraries. 2002 – The Bookasaurus, the new children’s bookmobile, begins regular visits to Head Starts and other preschool programs. System HQ moves to a rented facility on MacArthur Roadnear the airport. 2003 – The Friends of the Reading-Berks Public Libraries is reorganized as the Friends of Berks County Public Libraries. 2004 – Spring Township Library joins the System. It later combines with West Lawn/Wyomissing Hills as part of a two-township merger. 2004-2005 – A 34% decrease in state funding spurs a successful “Libraries Rock” campaign. Campaign efforts secure a 32% increase in county funding for System members. A second Gates Foundation grant provides an additional $144,000 for computer equipment. 2007 – System libraries migrate to Horizon, a new enhanced library automation network. 2009 – Another 20% decrease in state funding eliminates the Statewide library card reimbursement program. County bookmobile service is discontinued. 2010 – System offices move from MacArthur Road to Berks Road near Berks Heim. 2011 – Through statewide District Center Aid, the Reading Public Library offers a platform for eBooks and other digital content. 2013 – A digital magazine platform is added to the suite of electronic resources. 2015 – The System migrates to Polaris, an Integrated Library System (ILS), that provides an enhanced user interface, a mobile application and electronic notification. The Friends of Berks County Public Libraries organization was formed in 1980 to support the public libraries throughout the county.The organization is a volunteer, non-profit association dedicated to supporting all of the public libraries in the Berks County System. 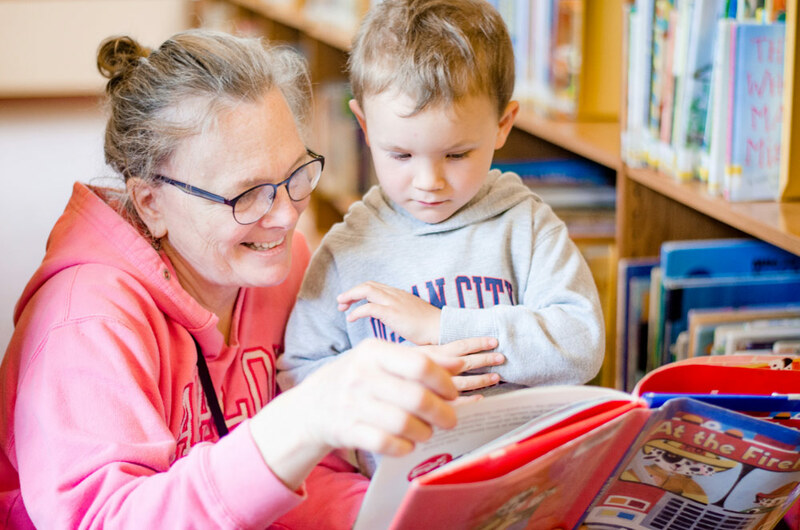 Learn more about the Friends group and how their help has benefited libraries all around Berks County. We're continuing the conversation the Free Library of Philadelphia began with their "The Free Library in a Day" exploration. 24 locations, 10 hours, and 165 miles later, we take you on a virtual tour of the Berks County Public Libraries! The public libraries of Berks County are essential community resources that provide a high return on community investments. Each busy library serves people and businesses providing a lifelong learning environment that integrates heritage and community with access to more than 350 public computers and shared resources that reach throughout the county, state and country. Created in 2013.